As the credits rolled and the house lights came up, I realised something – I was the only person in the theatre not crying. People of all ages were sobbing and wiping their eyes, couples were holding each other… I guess what they say about me is true: I don’t have a heart. This deliberate pull at the heartstrings, emotionally wrought film did not make me feel much other than boredom. Now, I have to admit that I was predisposed to dislike this film. I’ve read the book, the review of which you can read here, and I didn’t like it. Having said that, I’m not opposed to being shown an adaptation that improves on the source material; I hoped this might be the film to do it. 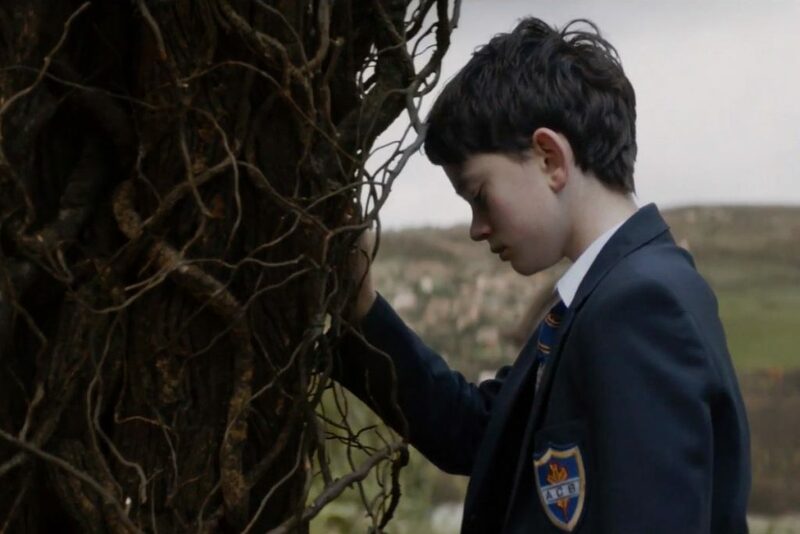 While A Monster Calls has a lot to recommend itself, it didn’t manage to do one key thing: entertain me. If I were reviewing this film on a technical basis – the direction, sets, acting, script (written by the book’s author, Patrick Ness), etc – then this would be a glowing review. It is beautifully shot. The soundtrack is both moving and restrained enough to hit the right emotional notes. 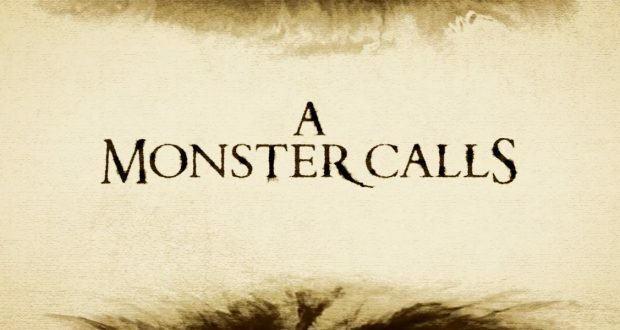 Each story told by the monster is animated in a watercolour-inspired style that is beautiful and unique to the film. But what truly elevates the film from being another soppy after-school special is the acting. There are some exquisite performances from Sigourney Weaver and Lewis MacDougall (Felicity Jones is her usual dull self), and Liam Neeson’s commanding voice works well for the monster. I was stunned to see such a young actor do so well with the emotional displays required of him, particularly when playing opposite a CGI tree monster. MacDougall is clearly a talent to watch. The stylized nature of the fantastical elements also gives the filmmakers some leeway when it comes to creating realistic CGI. When the world of the stories blends with Conor’s (MacDougall) world, there’s a lovely mix of attempted realism and the dreamlike. While I would still have liked to see some more physical effects (my constant complaint of modern Hollywood), the deliberately stylized effects work. I must be missing something. Why do people enjoy reading and watching misery stories? Yes, this is ultimately a story of healing, of how a boy can overcome tragedy and go on with his life, but I don’t find anything remotely entertaining about watching people be miserable and depressed as their loved one slowly dies. Of course, if it had been the same story but about the family dog, I’d be on board. The film didn’t send me on an emotional rollercoaster, working through grief or whatever it was I was supposed to feel; instead, I was bored. From the opening of the film, you know where the story is going (even if you haven’t read the book). There is no surprise or tension beyond knowing the inevitable. I’ve read other reviews, of both the book and the film, that claim the interesting aspect of the plot comes from the off-center stories the monster tells. But are they really that original? All they do is invert accepted cliché story tropes with endings that are more realistic. While this is something I might have otherwise praised, but there are two factors to it that I dislike: 1) it is too derivative of A Christmas Carol to ever feel original and 2) these stories are the only opportunities to add a little levity to a thoroughly depressing story, but they decide to embrace more misery, misunderstandings, and unhappy endings. There’s so much misery in the world as it is, I have no desire to sit through an hour and a half of fictional misery, no matter how true to the experience it may be. Verdict: Predictable and dull misery dressed up in a beautiful production and unsalvageable despite lovely performances from the gifted cast.